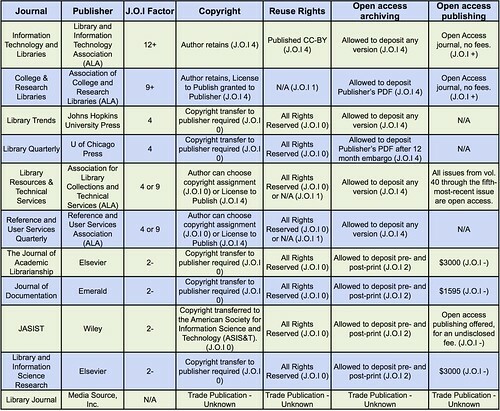 A growing number of major research funding agencies have open access policies. Those of the National Institutes of Health (NIH) in the U.S. and the Wellcome Trust in the U.K. are perhaps the best known. However, a criticism of many of these policies has always been that they don’t have any “teeth.” This finally seems to be changing. “Agreeing with open access is easy — making it happen, less so,” she says. I actually disagree. Making OA happen is not really that hard. It just needs to be incorporated into the researchers’ usual workflow. Applying for grants and writing up the research is much more difficult. Researchers just need to follow through with that one last step. And now they may not get their next grant if they don’t! Three new reports recently prepared for the European Commission’s Directorate-General for Research and Innovation show that Open Access is growing at a rate faster than previously thought. The reports were prepared by Science-Metrix, an independent research evaluation firm based in Montreal. Program 4B will focus specifically on the roles of librarians in education and outreach regarding scholarly communications issues. Presenters will discuss how to prepare librarians to take on this new challenge, providing them with the tools and training to speak confidently and answer questions about scholarly communications issues. How disciplinary differences factor into librarian education also will be discussed. Boulder, CO, USA – In response to the 12 January 2010 earthquakes in Haiti, The Geological Society of America has compiled a list of open-access papers on the Caribbean plate and the Enriquillo-Plaintain fault line. These articles, from GSA Bulletin and the GSA Special Papers collection, span the years 2009 to 1954. Access the literature at: http://www.gsapubs.org/site/misc/Haiti.xhtml. PubMed Central Canada is a free digital archive of full-text, peer-reviewed health and life sciences literature based on PubMed Central, the archive developed by the US National Library of Medicine. The search interface allows anyone to browse, search and download articles. PMC Canada will launch a manuscript submission system later this year. It will support CIHR’s Policy on Access to Research Outputs, which requires CIHR grant recipients to make their peer-reviewed publications freely accessible online within six months of publication. PMC Canada is a partnership between the National Research Council’s Canada Institute for Scientific and Technical Information (NRC-CISTI), the Canadian Institutes of Health Research (CIHR), and the US National Library of Medicine (NLM). Every January 1st is celebrated as Public Domain Day, the day when copyright terms expire and works enter the public domain. However, according to the Center for the Study of the Public Domain: “We have little reason to celebrate on Public Domain Day because our public domain has been shrinking, not growing”. See here for the full blog post from the Center with some interesting links. To find out more about the public domain see James Boyle’s book: The Public Domain – which is available freely online (of course!). Boyle is a law professor at Duke University and the founder of the Center for the Study of the Public Domain.